9-Foot Patio Umbrella Just $49.99! Down From $99! PLUS FREE Shipping! You are here: Home / Instagram / 9-Foot Patio Umbrella Just $49.99! Down From $99! PLUS FREE Shipping! Until May 12 only! Hurry over to Jane where you can score this 9-Foot Patio Umbrella for just $49.99 down from $99 PLUS FREE shipping! This new 9´ aluminum patio umbrella, with a tilt and crank. 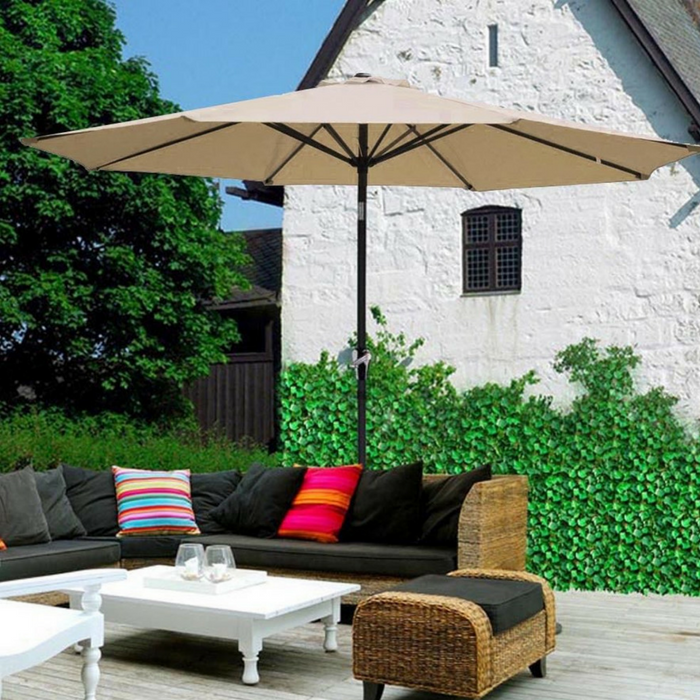 The attractive and stylish design make this patio umbrella a must-have. It’s designed to keep you cool and comfortable. Now, you can enjoy your time outdoors on a hot day without being hot in the shade as well as being protected from heat and harsh sun rays. Please make sure to look at our other products, because we do carry other colors. We purchase all of our products directly from the manufacturer, so you know you’re getting the best prices possible.